The UAE Minister for Artificial Intelligence and Invest India have signed a Memorandum of Understanding for the India - UAE Artificial Intelligence Bridge which is dedicated to spur discussion and explore options for both countries to grow their artificial intelligence economies. This partnership will generate an estimated $20 billion USD in economic benefits during the next decade. His Highness Sheikh Mohammed bin Rashid Al Maktoum, Vice-President and Prime Minister of the UAE and Ruler of Dubai said, "Artificial Intelligence will lead human development in the coming years. The UAE and India will be at the forefront of the change to come." Hon'ble Prime Minister Shri Narendra Modi envisions that human objectives and intentions will determine AI's progress. PM Modi has highlighted the need to develop Artificial Intelligence based solutions in India and for India. The Government of India is launching multiple initiatives to create an environment for digital growth through which the potential of AI can be realized in the areas of agriculture supply, healthcare, disaster management services etc. "The road ahead for artificial intelligence depends on and will be driven by human intentions. It is our intention that will determine the outcomes of artificial intelligence," said Hon'ble Prime Minister Shri Narendra Modi. Artificial Intelligence can be a catalyst for the creation of innovative applications. It can maximize the efficiency and delivery of government services while also boosting the effectiveness of the private sector. The UAE-India collaboration will seek to evaluate the dynamic nature of innovation and technology by convening a UAE-India AI Working Committee (TWG) between the UAE Ministry for Artificial Intelligence, Invest India and Startup India. The TWG will meet once a year with the mandate to increase investment in AI startups and research activities in partnership with the private sector. "How a country chooses to embrace Artificial Intelligence will have a tremendous impact on a country's ability to innovate and prosper. 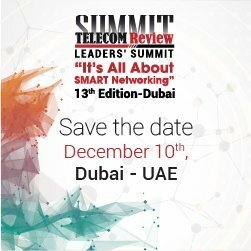 In the coming years, data and processing will be a catalyst for innovation and business growth and serve as the backbone of more effective and efficient service delivery systems," said His Excellency Omar AlOlama, Minister of State for Artificial Intelligence for the United Arab Emirates. "India - the world's fastest expanding market opportunity, with its talent pool of human capital, well acknowledged for innovation - and UAE - a hub of cutting edge technologies - are natural partners in the field of AI. Artificial Intelligence is going to play a critical role in our lives and this partnership will provide solutions not only for the citizens of India and the UAE but for the entire world." said Deepak Bagla, Managing Director and CEO, Invest India. 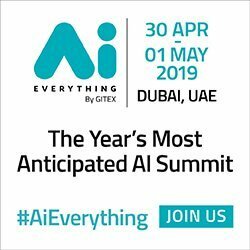 - Open engagement: The working committee formed by the UAE Ministry for Artificial Intelligence and Invest India will monitor the landscape of AI to identify emerging trends and policy concerns. This will help craft mutually favorable regulatory frameworks and policies without being outpaced by the speed of technological developments. There is potential to work together with governments, technology startups, academia and industry associations to understand how technology is evolving, what it means for the private and public sector, and how its adoption can be accelerated. - Foster innovative ecosystems: Creating the enabling nurturing environment requires all concerned stakeholders to invest in Artificial Intelligence. Initially this will entail creating AI regulatory sandboxes and the sharing of regulatory expertise to facilitate the entry of AI startups into each other's jurisdiction. Once the environment is set, the tools will be made available and that will come in the form of sharing datasets to enhance development and innovation of AI startups. - Looking to the future: This collaboration will help both parties play a catalytic role in the development and adoption of breakthrough technologies. The largest paradigm shifts are always related to research and development and investing in new technologies, tools and solutions in a controlled regulatory sandbox environment. This allows stakeholders to engage and understand transformative tech.